Chicago-based sommelier Jon McDaniel is the founder of Second City Soil, a restaurant wine consulting company that fills the gap between buyers and sellers. Jon was one of Food&Wine Magazine‘s 2018 Sommeliers of the year and also on Wine Enthusiast‘s 2017 “40 Under 40 Tastemakers” list. 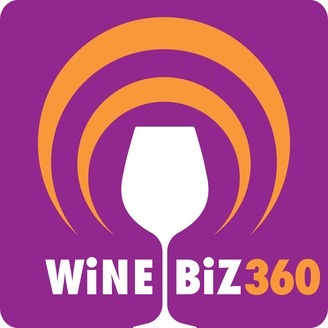 In this episode, Jon says the wine selling process is not just outdated, it’s broken. He explains how it can be fixed, and, he gives tons of tips on how to create a wine list, motivate and train waitstaff, and bring value to a restaurant as a sommelier. The key is to make wine fun. First off, Jon talks about how a sommelier needs to be his/her own best PR agent, to both promote oneself and the establishment, and it all begins with creating content. Content begins with the wine list. It should be creative and fun. “I’m trying to make wine fun for my guests,” he says. Jon laments that the wine industry is very slow to catch up to the rest of the beverage world in terms of fun and creativity. Wine can be seen as boring and uppity, so it’s important to make it fun and accessible. As for what type of content should be created, Jon suggests that you ask yourself what are you doing in your restaurant that is different from what’s being done at the restaurant across the street. Most restaurant servers are not looking to spend their entire lives in hospitality service — they’re trying to figure out life, get through the week, and pay the bills. Keeping that in mind is key to motivating and training a waitstaff. Begin by talking about wine as an ingredient. For example, how might a glass of Sauvignon Blanc make a dish taste better or worse? Wine should be a positive addition to the experience. Jon emphasizes that servers need not be wine experts. In absence of a sommelier, they have the menu to “back them up.” They need to feel like they are just one step ahead of the customer when it comes to knowledge of specific wines. Arm them with the few words they need to describe a wine and why it goes with certain dishes. Start with that as the foundation and they’ll learn more and more as they gain confidence. 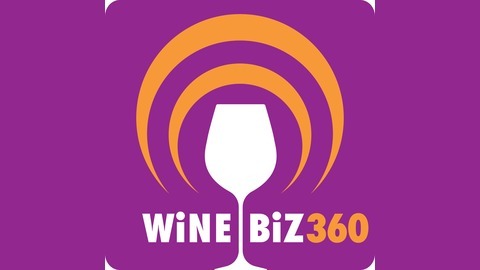 Jon talks about the important balance between providing what the customer wants and what you as a wine person want to offer, while being profitable. “Once you understand, in building a wine list, what the guest cares about, then you can take advantage economically of that and start to build in profit from that so that you can then pepper in those things that are a little bit more unusual or more exciting for you as a wine person that you have to go a little bit shorter on your margins. But you have to build in these wins that you know no matter what, you’re going to make money on. If you don’t have those things and you just average everything out of saying, “Well, my list is every wine is 27% cost,” or whatever it is to get that magic number. You have to have things that are 18% and things that are 32%. You have to look at the end of how you get to that goal is by mixing those things in and by pouring things that are money makers. Jon points out that how distributors sell wine the exact same way they did it 15 years ago, and it’s an old, broken model. It doesn’t take into account that the buyer is younger and has more responsibilities than the distributor may realize and needs a more efficient buying process. Jon offers one solution that compares favorably to the current, inefficient three-hour winemaker lunch. Additionally Jon talks about wine sales from the supplier side, particularly how some smaller-production, non-priority SKUs are a challenge and how his company Second City Soil fills the gap, helping to solve much of the dysfunction in the current sales model.